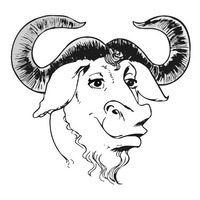 This tutorial shows how to install the latest stable GNU Emacs (so far, it’s 24.3) in Ubuntu 13.04 Raring, Ubuntu 12.10, Ubuntu 12.04 Precise and their deviratives such as Linux Mint and Elementary OS Luna via PPA. Generalized variables are now in core Emacs Lisp. An update for the Common Lisp emulation library. A new major mode for Python. There are many more changes; for a summary see the etc/NEWS file, which you can view from Emacs with `C-h n’. Since e.g. current helm mode needs packages only available in emacs 24.3 this is essential. When is an update to emacs 24.3 available on this site? I got version 24.3.1. :-). Sorry for asking. It seems to be that I had a previeous installed and deleted package of emacs 24 on my computer. Purge solved this problem.